The current wood-textured books store design incorporates all novelty design trends showcasing the products range as if standing o shelves and thus making the process of shopping more tangible and real. This is really one of the best templates prestashop ... keep up the good work. 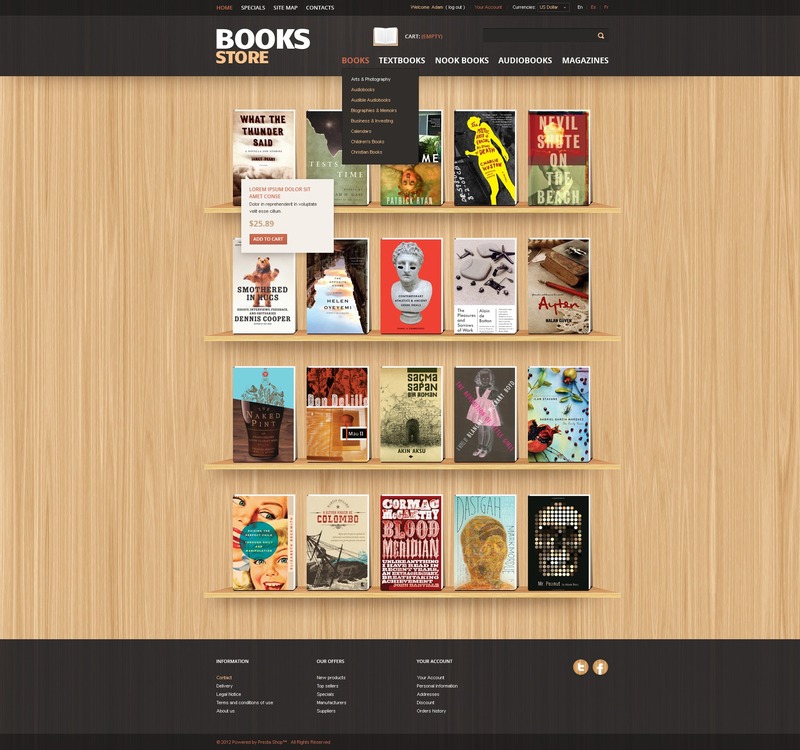 This theme will be the perfect solution for books, gifts, computers, games, and music stores.